Here at Club Chi Town Limousine, we offer Chicago Limo Party Bus to make your special events extra special! Celebrate your special occasion in one of our luxury limousines, SUV's or sedans. Club Chi Town limo provides reliable and quality party bus services in Chicago and its Suburbs. Be one of our growing customers and experience the best quality service. 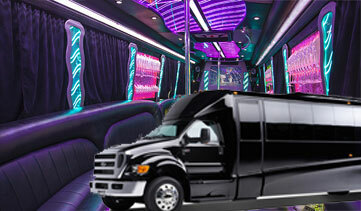 Make Your Reservation for Chicago Limo Party Bus @ 773-992-0405 . Make that extra special impression by giving your special one a gift that will last a life time! We specialize in making events extraordinary. Our service is key and you will love your courteous and professional chauffeur. It the extra attention to the smallest details that sets us apart from other competitors. Whatever occasion you are celebrating we can provide luxury ground transportation service. Club Chi Town Limousine can provide flowers, balloons or other special requests. We will work with you to meet all your special needs. Whatever your needs may be we have the perfect transportation solution to suite each of your special requests. We are also available 24 hours a day / 7 days a week.